Yesterday was a busiest day for me, i was processing for the billing of my mom in the hospital after she had a successful surgery. Before paying the bills i need to secure her philhealth and get the MDR for the discounts. A lot of people are queing and waiting doe their turn at Philhealth building and took 3 hours for me to have my number called out. After i processed, i went back to the hospital and submit the MDR as per required to get discounts at Philhealth, i thought im done. The cashier told me that i need to settle the blood that was used during the operation before we have our discharge order. I went to the blood bank and ask about it, the blood bank then told me to get the indigency certificate at the our Barangay, damn! its 6 hours to travel to get there. I texted my sister to send the indigency via Bus and i need to get it today. 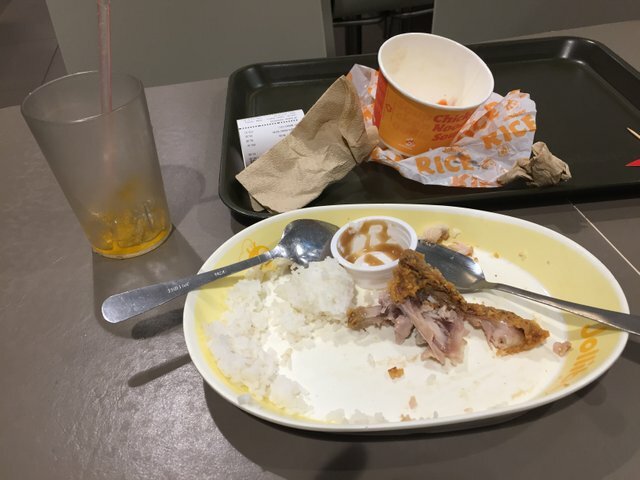 After the busy day, i treat myself at one of the fast food chain because in felt like im drained, lo battery and super tired. I enjoy the foods, it aas delicious and i even smiled back to those people who keep staring at me. I didnt realized i was using spoons instead of fork and spoon. I finished eating after i realized everything. hahaha,gutom na jd taman sir? Haha! I was curious about the spoons you mentioned. I thought to myself, that's normal. I didn't notice the photo right away. It made me laugh when you mentioned it and I saw the photo again. I have never heard of that happening before. I hope you were able to settle everything that needs to be done though?